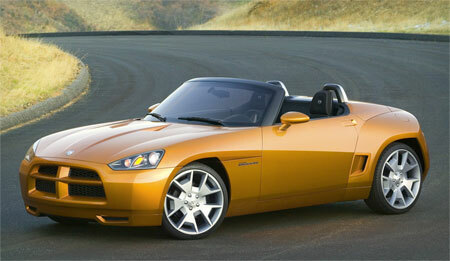 Dodge will be showcasing it’s new 2-seater rear wheel drive roadster concept at the 2007 Geneva International Motor Show next month. The concept aims to create an affordable sports car focusing on driving fun, open air driving, as well as powerful performance. Sounds alot like the Mazda MX-5 doesn’t it? The Dodge Demon has Dodge’s trademark muscular look and cross grille, 19 inch wheels, and a 2.4 litre engine (likely the same 2.4 litre unit in the Dodge Caliber 2.4), making 172hp at 6,000rpm and 224Nm of torque at 4,400rpm.